We are committed to self development, team growth and success. Our exhibitions and events provide an ideal platform to showcase your products and services to local and international perspectives, ensuring that your products and services get the desired visibility and recognition. Oman Convention and Exhibition Centre O.C.E.C. 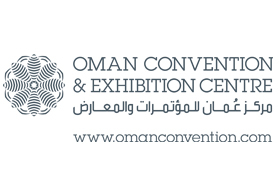 Oman Convention and Exhibition Centre O.C.E.C. is the sole state-owned organization that is equipped to hold large-scale exhibitions and trade fairs in the Sultanate of Oman. Vega Intertrade and Exhibitions LLC is one of the most sought-after exhibition and event organizer specialized in the Middle East and North Africa (MENA) region.